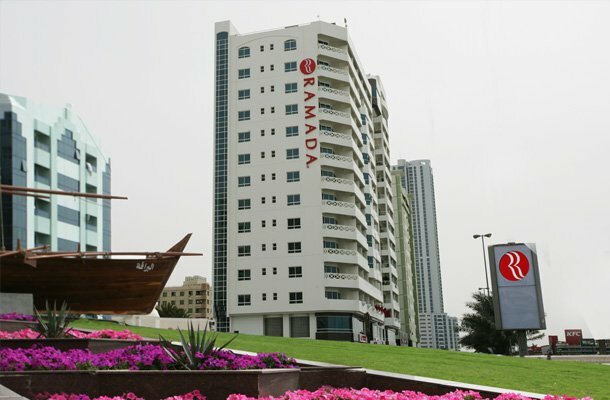 Ramada by Wyndham Beach Hotel Ajman is located on the Ajman Corniche offering panoramic views of the Arabian Gulf. The hotel is conveniently located 25km from the glorious airport in Dubai and its world-famous commercial and cultural attractions, and 15km from Sharjah airport. It is a modern resort hotel ideal for both leisure and business travelers offering 107 rooms, including suites. Most rooms and suites come with a private balcony offering the guests to immerse in the beautiful view of the ocean. All rooms and suites are immensely spacious and well appointed featuring in-room amenities including air-conditioning, IDD facility, electronic safe,satellite TV, mini bar, built-in kitchenette, bath/shower and hairdryer. The rooms and suites are elegantly designed for utter relaxation and absolute comfort. Ramada by Wyndham Beach Hotel Ajman boasts the Flavours Restaurant serving delicious international cuisines with a special touch of tradition and innovation.The King's Grill Restaurant combines the elegance of traditional Indian & Pakistani cuisine with exceptional hospitality to create a great dining experience for you. The hotel also offers other facilities including a conference room for small meetings, seminars and private gatherings, a fully equipped gymnasium, swimming pool, sauna, steam room and Spa.